Ministry of Economic Affairs of the Netherlands gave clear support to the ban on breeding of animals for fur. 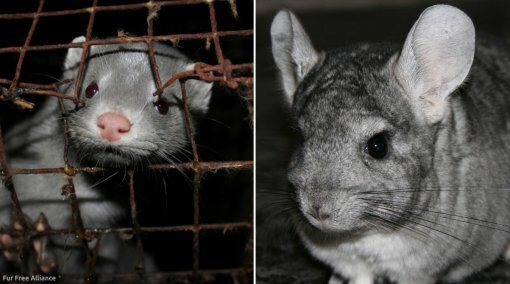 In a letter signed by Mr. Henri Kool, Head of Animal Supply Chain and Animal Welfare, it is alleged how and why the Netherlands prohibited the mink farming, having already prohibited the breeding of chinchillas and foxes for fur. It is also stated that the Permanent Representation of the Netherlands to the European Union will send a letter to The Government of Croatia with a support to the ban on breeding of animals for fur in Croatia. Ministry of Economic Affairs of the Netherlands states: ''Causing suffering and taking the life of animals for non-essential and even trivial reasons can not be morally justified. It contradicts public morality of the Netherlands.'' This way they call upon Croatia to protect its existing legal provision, which entered into force in 2007 with a transitional period of 10 years. In the Netherlands the fur is considered to be a ''luxury good for which there are many acceptable alternatives that are just as beautiful, modern and warm'' and the breeding of animals with an aim to yank out their fur is considered ethically unacceptable. They want to clearly argue that there are no excuses for the killing of animals for fur. In Croatia there are currently five times less breeders than during the adoption of the ban, and the new official information of the Ministry of Agriculture shows that there are even less, i.e. that there are only 20 registered chinchilla breeders. This information does not say how many of them are actually active. Public interest, legal certainty and the will of the people should be, in Croatia also, put in front of private interests. In March, an animal welfare organization from the Netherlands, Bont voor Dieren which has been closely involved with the development and passing of a Netherland's national fur farming ban, sent a letter to Croatian minister of Agriculture. The letter explained the situation with fur farming in their and other countries, asking the minister to keep the existing fur farming ban in Croatia as it is. Besides the Croatian veterinary organizations and veterinary individuals, intellectuals, public figures and more than 100 civil society organizations, the support to maintenance of the ban on breeding of animals for fur in Croatia was given as well by many international organizations such as the Brigitte Bardot Foundation, PETA, Intergroup on the Welfare and conservation of Animals, Fur Free Alliance (FFA), Four Paws, One Voice, Anima Mundi and others.